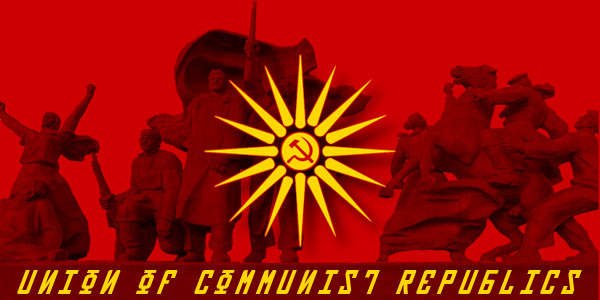 The Union of Communist Republics and the Global Alliance and Treaty Organization, in this treaty, solidify and announce their friendship, and enter into Optional Defense and Optional Aggression. Both parties agree to enter into a state of non aggression with one another. Both parties agree to never give any form of aid or assistance to an alliance or individual that a signatory of this treaty is militarily engaged with. Both parties shall remain independent entities after the signing of this treaty, and agree to not interfere in each other's affairs. Both alliances agree to remain cordial in public and private, and to avoid malicious behavior in public. Both agree to settle any disputes in private, in a calm and dignified manner. Both parties agree to share any and all information pertaining to the safety and stability of one another. Any information passed shall be kept confidential and not shared with any third parties unless explicit permission is given in order to do so. Both signatories agree to work closely together in times of war. Should one signatory find itself at war with another alliance, the other is encouraged, but not required, to join them in that effort. Both alliances are encouraged to materially and diplomatically aid each other where possible, and seek the fruits of cooperation. This treaty may be cancelled at any time by either signatory. The cancelling party must give the other signatory a private 48 hour notice of their intent to cancel these accords. These accords shall remain in effect until this time period passes, at which point, it shall be declared officially null and void.